Back to School Season is among us. Out here in the west, we’ve already been back for a few weeks now, but I know many of you are just getting into the swing of things. Routines can be challenging to implement and I bet you’re inundated with all the stuff kids need these days. 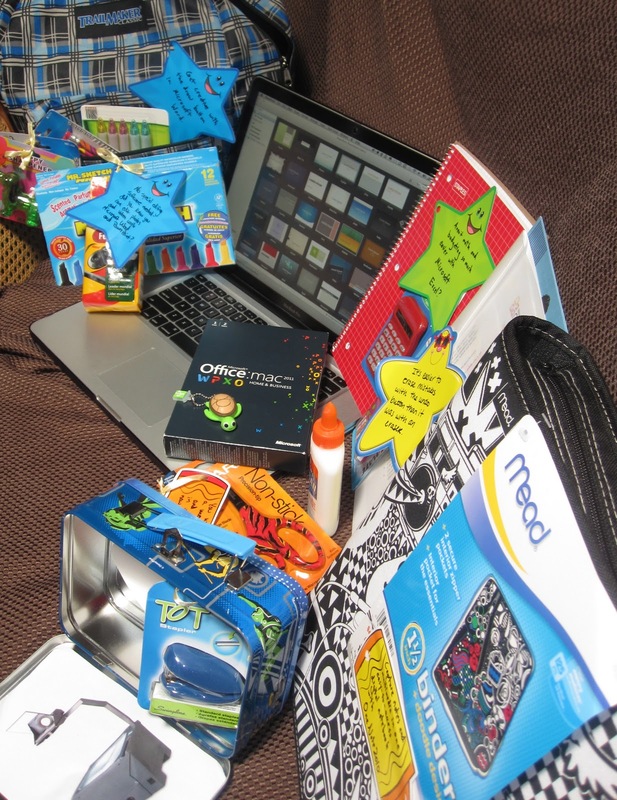 Picking out clothes to outfit your kids is one daunting task, and picking out software to outfit your budding student’s Mac shouldn’t be one more thing on that already long list. When families have the right tools to get organized, daily activities can become more manageable. In this multi-part review series, I aim to give you the advice you’re looking for when it comes to getting the right publishing software for your Back to School Mac. I also have some project ideas I’d like to share. As for the clothes, sorry, but you’re on your own! Last month, Microsoft provided me with a license of Microsoft Office 2011 for the Mac Home and Business Edition for the purposes of evaluation. Along with it, they included a wonderful Back to School Backpack full of goodies. Everything goes better with metaphors, so I’ll attempt to utilize those analog tools to compare with the digital tools in the Microsoft Office 2011 suite in my subsequent reviews. To summarize what I’ve experienced after a few weeks of using Microsoft Office 2011 for the Mac, I’d have to say I’m impressed with a few caveats. I wouldn’t be doing my blog justice if I didn’t critique it before I geek it. At this point, I can only see improvements on the horizon and I would definitely recommend Microsoft Office 2011 for Mac-using students and professionals. The price gap on the single user license has closed in on iWork and the redesign is packed with many features. Despite the little nags I experience along the way (I’ll explain in more detail later), the most noticeable improvement is speed. Word now launches just about as fast as Pages and there is a noticeable speed improvement for documents that contain mathematical equations. That alone could be a deal-breaker for high school and college students who are studying any of the sciences where they are required to create lab reports. Ok, I am still a loyal iWork fan and it’s still my preference; however, it is not as widely accepted as Microsoft Office. For the purposes if this review, my target audience will be students and professionals who work in an education or corporate environment where they must slide between Windows and Mac operating systems. I will add in comparisons to iWork features when I feel it’s necessary in future reviews. This isn’t an iWork vs Microsoft Office smackdown; although that may happen in the future depending on how both suites progress over time in the way of upgrades and enhancements. If you are a student or work for a school (in some cases even retired from working at a school — couldn’t hurt to ask) then you are eligible for a discount. I recommend you take advantage of it. Also check into military discounts. I have heard of some military personnel (or their spouse) who have purchased a Mac for a discount and no taxes. Check out your local Base Exchange to see if software for discount is available. If you have a choice to purchase an online download, do it. Be kind to our planet and get instant gratification! What could be better? It may cost a little less and there is one less cardboard box lying around. The online versions of tutorials are much more helpful than the printed versions that may come in the box. These days there is less and less printed material that ships with the disc anyhow. If you catch a free shipping deal, you might also skip paying additional taxes depending on where you live. For students, Microsoft Office is about double the price of iWork, depending on where you buy, but consider it is packed with more features than the current offering of iWork and it will be more compatible with Windows versions. To whittle it down even more, compare the 3-license price of Microsoft Office 2011 Home and Student Edition versus the Family Pack 5-license price of iWork and now you’re down to about a $50.00 difference. Sure, you can export different versions from iWork, but perhaps paying $50.00 more affords you the time and energy you’ll save from doing that extra step. Don’t stop there though. You can justify the extra cost of Microsoft Office over iWork if you really need and like the additional features, newly designed interface and compatibility between Mac and Windows as many do. Consider the trade offs of price over convenience. 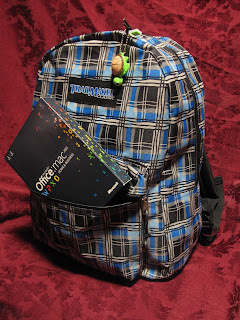 If you’re a student or professional working in an environment where Microsoft Office is the standard on both Mac and PC, if you must collaborate using tracked Word documents between Mac and PC or even other Mac users, or if you are using advanced mathematical computations, then Microsoft Office 2011 for Mac is for you. This is just the first of my reviews for Microsoft Office 2011 for the Mac. I hope you’ve found this information helpful thus far in your Back to School purchasing decisions. Come back for more reviews on individual products, tools and features along with some constructive criticisms within the Microsoft Office 2011 for Mac suite. I’m thinking of calling the series “The Microsoft Mom Reviews” or something to that effect. I have projects I’ve been working on that I’d like to share with you and also talk about how we use Microsoft products in a predominately Apple household. Oh, the irony! Stay tuned to see if Microsoft can win over this TheMacMommy! 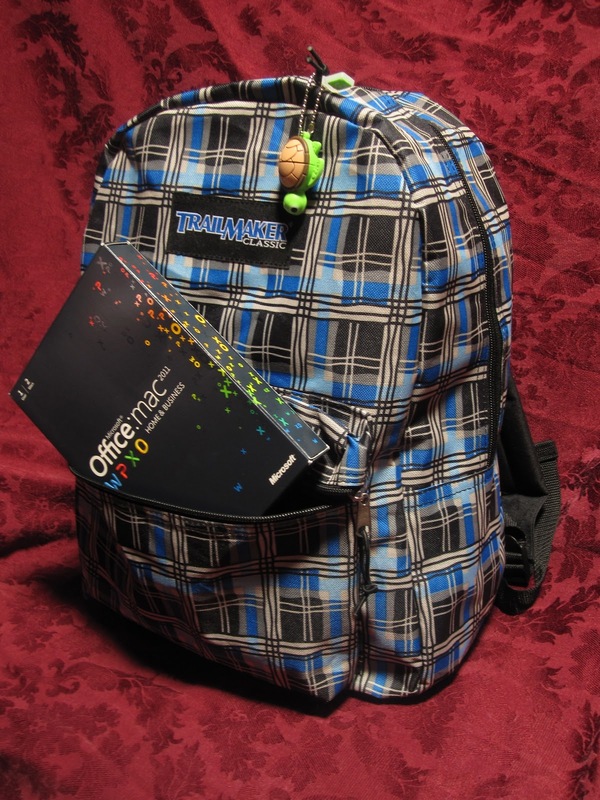 Windows users with Microsoft Office 2010 will want to check out this link for helpful tips on Back to School for the PC. I must agree data back up is really important, I learned this lesson in a very hard way. There are a lot of back up mediums available that are not too expensive. Data backup is easy to do and gives you a kind of data security in case of system crash. All good hopes. How about simply integrating gmail with google docs? Not brain surgery, I'd think.